Everyone has a skull, right? So why then are they seen as such scary and sinister symbols? Back in the stone age anyone sporting a skull around their neck while strutting through the village would be envied and praised. But since then, the idea of a skull anywhere, besides in your head, is looked down upon... even illegal in some places! We think it all may just be propaganda set forth by those scurvy pirates and grungy heavy metal enthusiasts. Those two groups have been keeping the skull from becoming a symbol of human greatness, as it should rightfully be. Maybe in an alternate universe, this Skull And Teeth Necklace could be the perfect jewelry for any cute modern girl hoping to add a little glamour to her outfit. 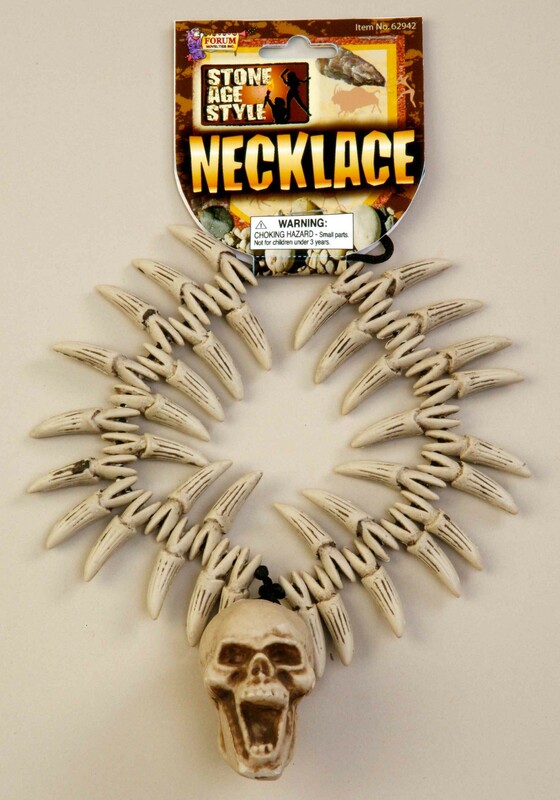 Instead, this necklace is only seen as a symbol death and carnage. Of course, if you're a pirate or a metal-head, then all of this just makes you smile with devious glee.